I just want to pass on to you a great big THANK YOU !! Lynda and I had a super time playing the 10 golf courses you had booked for us, while also staying in some wonderful hotels. 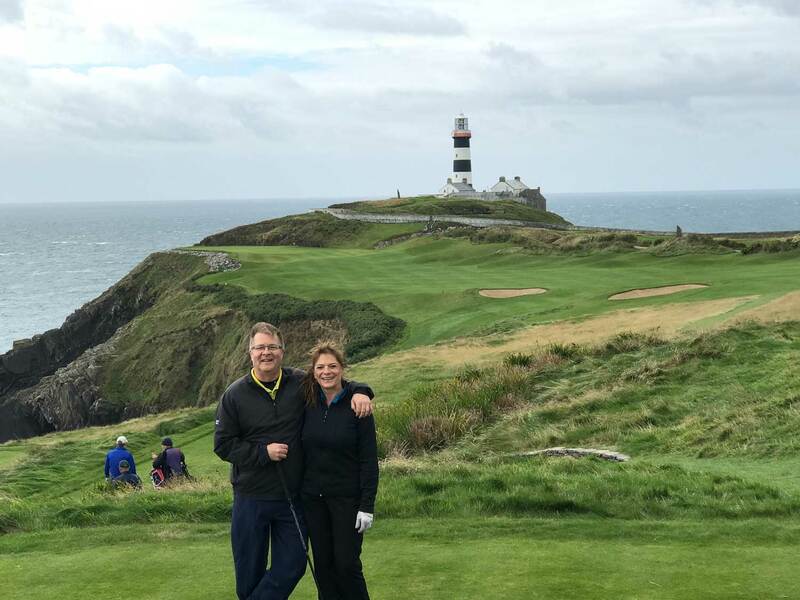 In particular, Old Head was spectacular, while Castle Stuart was a very pleasant surprise. Dromoland Castle was a most memorable place to stay, and we were able to go “hawking” while there which was a once in a lifetime experience. Thanks again for organizing our trip for us. We have memories that I know will last a lifetime.